ARP's L19 material (comparable to A1 Technologies H11 Tool Steel) is a premium steel that is processed to deliver superior strength and fatigue properties. L19 is a very high strength material compared with 8740 (standard ARP headstuds) and is capable of delivering a clamp load at 260,000 psi. It is primarily used in short track and drag racing applications where inertia loads exceed the clamping capability of ARP2000. Like most high strength, quench and temper steels - L19 requires special care during manufacturing to avoid hydrogen embrittlement. This material is easily contaminated and subject to stress corrosion. It must be kept well-oiled and not exposed to moisture. These come packaged individually wrapped in a special wax paper to prevent contact with moisture until ready to be used. Because of the many head lifting issues on 4G63 blocks running in excess of 35+ PSI, a stronger stud needed to be manufactured to meet the demands of today's top engine builders and racers alike. Typical lead time on these studs is 6-8 weeks, but we have ordered these in advance and will be shelf stocking them! 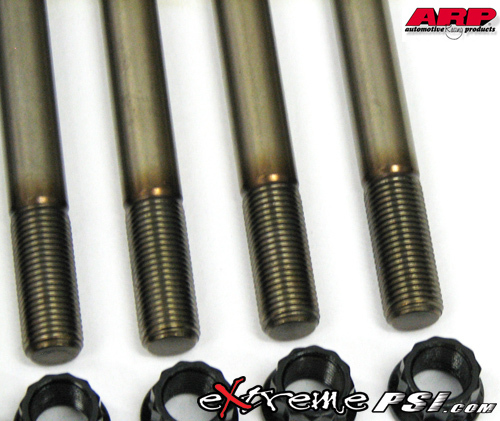 The L19 head stud upgrade comes with Studs, Washers, and Bolts for a complete installation. 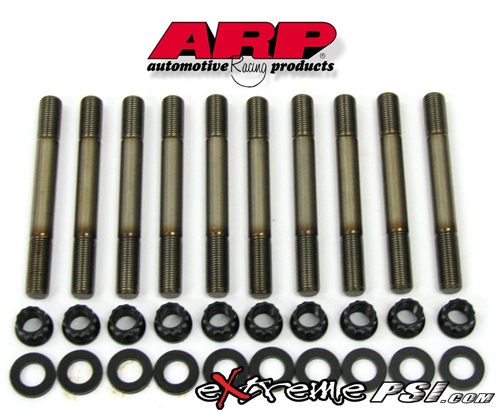 No Modification to your cylinder head or block is required as these are a direct drop-in replacement for the OEM head stud! *Note: The nuts and washers included in this kit still utilize premium grade 8740 alloy as only the stud is subjected increased pressure. 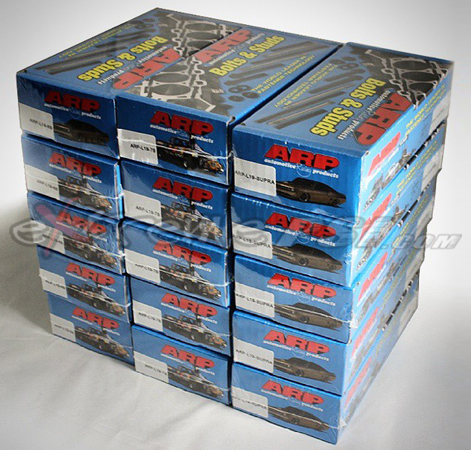 ARP Moly Assembly Lubricant also included in kit. Want this item shipped on April 22? Order within the next 54 hrs 15 mins.